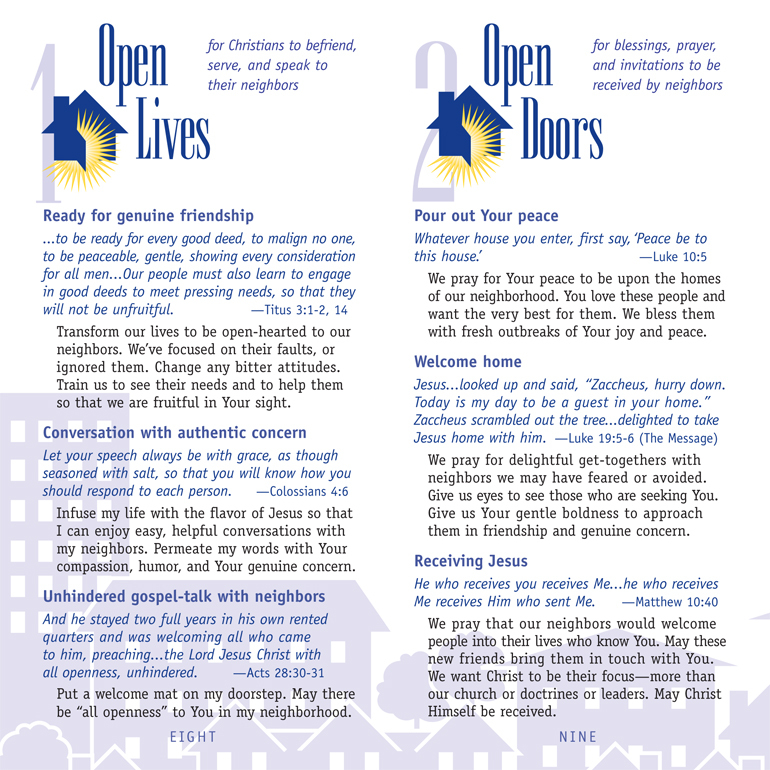 A resource designed to help unite prayers in preparation for community-wide seasons of evangelism and harvest, although the prayers in this booklet can be prayed by anybody, anytime, anyplace. 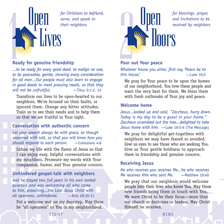 Seven biblical themes help pray open the lives, eyes and ears of those who may be closed to Christ, while praying open the homes and hearts of Christians to welcome new believers in follow-up friendships. 16 pages. Pocket-sized for easy reference. $2.00.